Terminator 3 star Nick Stahl went missing back in May before entering a rehabilitation facility to address drug and alcohol addiction. And it seems that Nick Stahl has once again vanished after checking himself out. Nick Stahl, 32, who played John Conner in the 2003 action hit, has reportedly left rehab, “against doctors advice” according to E! News. According to the website, Nick Stahl left the facility a week ago and now his loved ones, including his estranged wife Rose Murphy Stahl, have no idea where he is. “He’s been missing for four days,” Rose Murphy told E! News. Nick Stahl checked himself out of the undisclosed rehab facility last weekend, then reportedly went to stay with a friend. He was later spotted in downtown Los Angeles, where he has often been seen in the notorious Skid Row area. Following the sighting, Nick Stahl apparently returned to the friend’s home, however he has not been seen since leaving the property last Thursday night. Once again Nick Stahl has left friends and family members panicked by not telling anyone of his whereabouts and a full search party has ensued. “Now he’s disappeared. We can’t find him anywhere. He has not made contact with anyone. We are all just desperately looking for him,” a source told E! News. The disappearing act comes after the star left his wife Rose and loved ones frantic when he first went missing in early May. He later then reportedly told his wife he has checked into rehab as well as emailing his friends to tell them he was alive. At the time Rose Murphy Stahl told TMZ she had spoken to the actor – very briefly – and he told her he checked into rehab. She said she checked with the facility to make sure he was still there and they confirmed that he was. Nick Stahl’s wife also told the website that she wasn’t considering divorce and was just relieved that she could tell the couple’s two-year-old daughter Marlo that her “daddy is safe”. She also said she intended to visit her husband in rehab for however long he needed to stay. Nick Stahl had apologized for the raising fears about his safety, and pledged to stick out a period in rehab to get his drug and alcohol issues under control. According to TMZ, his friends and family were hopeful he would live up to his word, though at the time they were skeptical. Nick Stahl and Rose Murphy are currently estranged. In February she attended court to seek a ban against the actor seeing their daughter Marlo if he failed a drug test. In May, when Nick Stahl went missing, she spoke out in the media voicing her fears that he was dead. She said she feared he may have lost his battle with substance abuse and overdosed. Rose Murphy Stahl told People magazine: “He could have overdosed, that’s one thought. Rose Murphy Stahl first reported her husband as a missing person on May 14, and it came after the pair suffered a number of domestic problems. In court documents she claimed Nick Stahl was abusing drugs and said she was afraid for their daughter’s safety. She demanded that his visitation with Marlo be limited to just 8 hours a week and that all visits be supervised. She also wanted Nick Stahl to prove he wasn’t abusing drugs around their child, asking that he present “proof of a negative result for a test for drugs and alcohol within the 24 hours prior to his scheduled visitation time”. She claimed they both were happy to file the legal paperwork in early February to motivate him to get better, and he had been living away with a male friend since that time. Rose, full name Roseann, also said she does not consider the two of them separated or estranged. Sources said Nick Stahl had been frequenting Los Angeles’s notorious Skid Row area. Before he took on the task of becoming John Connor in 2003’s Terminator sequel, Nick Stahl appeared in The Man Without A Face with Mel Gibson, Disturbing Behavior, and The Thin Red Line, which was nominated for Best Picture by the Academy Awards. 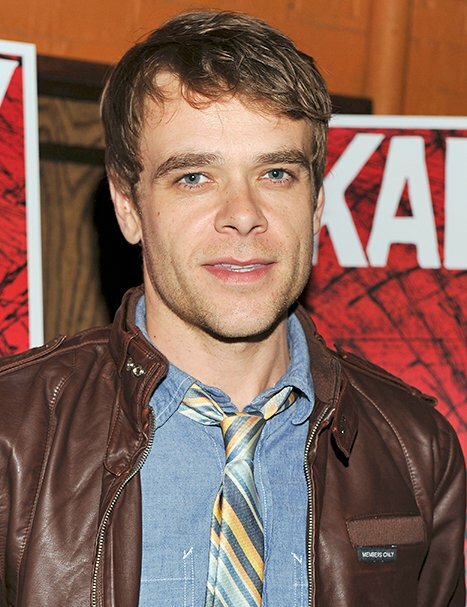 Nick Stahl also appeared in the short-lived HBO cult hit series Carnivale. The actor was arrested earlier this year on charges that he did not pay a taxi driver, after he allegedly could not cough up an $84 fare. Nick Stahl spent an entire day in jail following his crime, so his $50 fine was suspended.